So I have been a little sick lately, so here is a quick blog about the changes that we have done to our living room. I don’t have the most recent picture, but I thought it would be fun to at least look back a little at the living room. Its always nice to notice how much you have changed things. The picture to the left is how the room looked when we toured the first time. 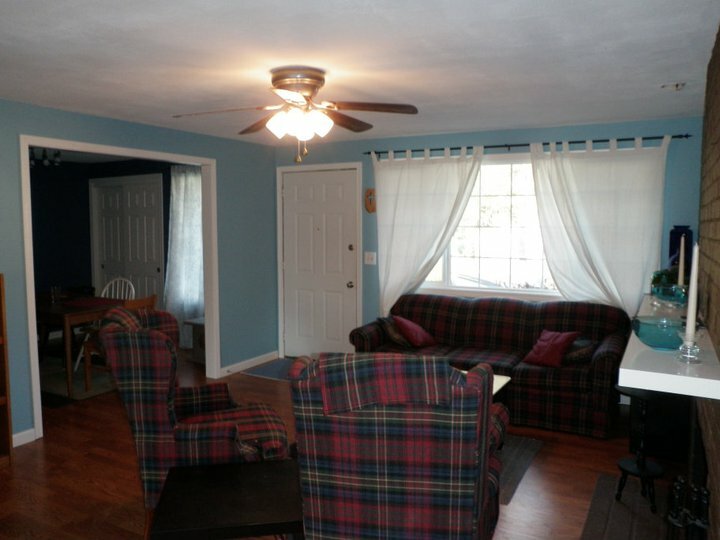 The second picture is our lovely living room empty when we first walked in the door. 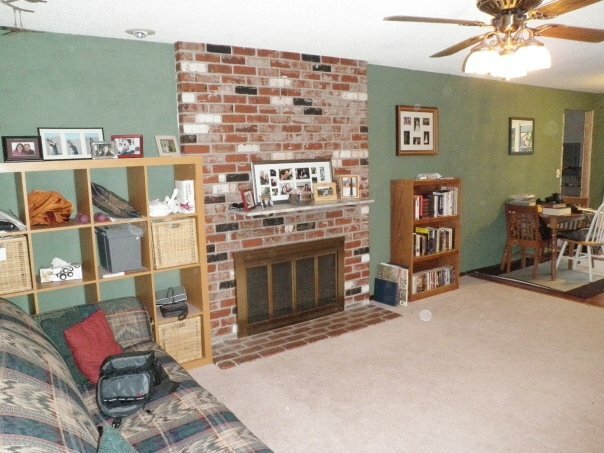 Love those mirrors!That fireplace really stands out. :) It also had this horrible gold fireplace screen and way too small marble mantle. 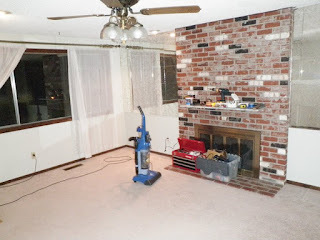 The third picture was the first remodel of the living room. We pulled down the mirrors and fixed some of the wall issues. We wanted a bold color so we choose this dark green. While it was a great color, it was so dark in the winter time. It went nice with the wood tones, put was hard to decorate with. Besides we had not done anything to the fireplace yet and were not happy with the color. We already knew the carpet should come out, so it was only a matter of time. The fourth and fifth pictures were taken a few months ago when we pulled out the carpet and put in a wood floor ourselves. It was so much cheaper that way. We also decided to paint the room a very bright blue color. I was worried at first, but it actually seems to be looking quite nice! 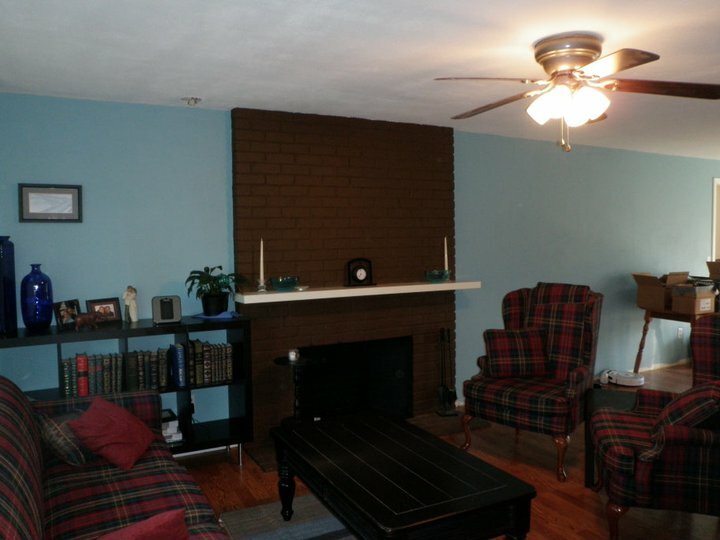 We have a grey accent way along the hallway and painted the fireplace a chocolate brown. Here is a small look at what it looks like now. I only have the one picture from the other post. I will try to add some more from other angles. We moved the couches around. At some point we would like to recover them in a nice brown color.